Encounters have consequences. Every slain bandit has friends who will want revenge, and every devil banished back to the Eleven Hells reports its failure to its Dark Lord. What happens when the PCs’ daring deeds come back to bite them? The following encounter chains are more than just random encounters. Each conflict flows organically into the next, sometimes without even giving the PCs a chance to catch their collective breath. Each subsequent link in the chain ups the stakes, giving the PCs the sense of falling out of the frying pan… and into the fire. The iron doors of Hammerfell are sealed, and none but they know why. A full year has passed since the doors were shut; some fear that the ironsmiths of Hammerfell discovered something evil in the lightless depths of their mines while others whisper that Hammerfell’s craftsdwarves are secretly amassing a military force that will shake the Crossroads. Perhaps both are true. The PCs now find themselves journeying across the Ironcrag Mountains, near the canton of Tijino, far from the Sealed Canton. Travel is slow through the Ironcrags. The path you climb is a tight one with a towering cliff face on your left and a dizzying canyon on your right. You round a bend and find yourself before the the crumpled body of a dwarf in the middle of the narrow road. The ground around the body is wet with her blood. The cliff above is 50 feet tall and the valley below is 100 feet deep. A successful DC 10 Wisdom (Medicine) check reveals the dwarf fell from the top of the cliff and died of blood loss. A DC 15 check also reveals the broken-off tip of a crossbow bolt lodged between her shoulder blades as well as a brand on her left shoulder. A DC 15 Intelligence (History) check reveals that this is the brand given to slaves of Hammerfell, Canton of the Forge. Attempting to investigate the corpse by any means reveals the box clutched in her hands. The box is made of dark iron and is icy cold, and though the box is scratched and worn, its brass latch is untarnished. If opened, the latch gives way instantly and unleashes a voidling in a burst of midnight and starlight. 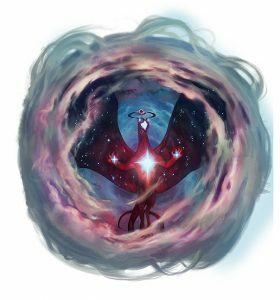 If the party is 12th level, this voidling has 200 hit points. Every round that the box remains open, another voidling spills from its cosmic depths. 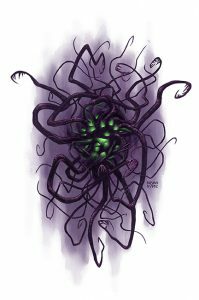 Whenever one of these voidlings dies, its body explodes into inky particles that shoot into the sky like a flare. Developments. If any voidlings were killed, proceed to Encounter 2. If the party fled without killing any voidlings, proceed to Encounter 3 next time they are in town. If the party has the iron box, the dwarves attempt to reclaim it. If the party does not have it, they simply try to kill them. Depending on the PC’s level, the dwarf slavers may attack with allies. If the PCs are 11th level, they are attacked by two dwarven ringmages (Tome of Beasts) who can cast spells without requiring verbal components, and a young void dragon (Tome of Beasts). 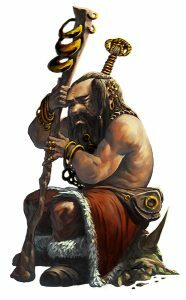 If the PCs are 12th level, add one dwarven ringmage. Developments. If all the dwarves are killed before the dragon, it flees toward Hammerfell. The next time the PCs arrive in a town, proceed to Encounter 3 (unless they have already completed it). The dragon seeks her daughter, the deranged void dragon from Encounter 2. The mother is swiftly attacked by the town watch, and she begins destroying all in her path. The PCs can attempt to parley with her, but the void has claimed too much of her reason; even if the PCs have worked out that Hammerfell is at fault and can direct her towards her daughter’s captors, only her capacity to destroy remains. Developments. If the PCs have not yet encountered the dwarf slavers, the encounter with the adult void dragon draws their attention; proceed to Encounter 2. 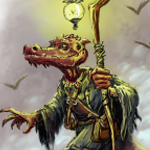 For even more monsters, check out Tome of Beasts. The following encounter chains are more than just random encounters. Each conflict flows organically into the next, sometimes without even giving the PCs a chance to catch their collective breath.